Beautifully Maintained & Updated! Situated on a Premium Lot backing to privacy trees. Recent upgrades include: Granite Island Kitchen, Painted Wood Cabinets with Beadboard Inset, Modern Designer-Tile Backsplash, Butlers Pantry - Granite Counter & Painted Cabinetry. Stainless Steel Appliances. Main Level Features: Hardwood Floors in Living & Dining Rm with Bow Window Extension ~ Crown & Chair Rail Trim Moldings. Spacious Family room with Gas Fireplace & Ceiling Fan opens to Kitchen. Main Lvl Powder Room. Upper Level Features 4 Plush Carpeted Bedrooms including Master Suite with Sitting Area, Walk-in closet. Master Bathroom boasts Lux-Soaking Tub, Separate Shower - Tile Surround & Dual Vanity. A 2nd Full Bathroom with Ceramic Tile & Shower/Tub serves the 3 Upper Lvl Bedrooms. Finished Lower Level Includes: Spacious Recreation/Game Room, Separate Exercise Room, 3rd Full Bathroom and Window Well/Legal Egress. 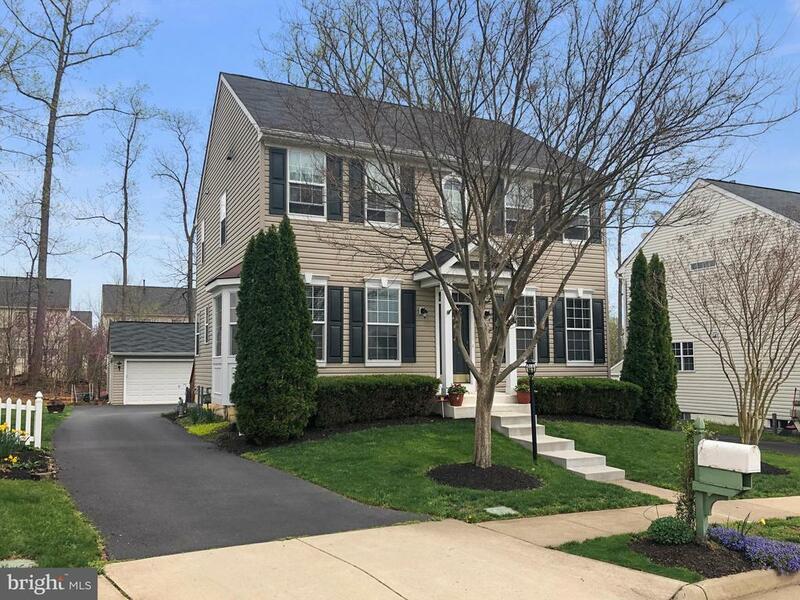 Exterior Features: Welcoming Curb Appeal : Freshly Mulched Landscape Beds, Flowering Trees, Evergreen Shrubs, Mailbox with Climb-Flowering Clematis, Great size Asphalt Driveway, 2 Car Garage with Automatic Door Opener, Garden Space, Stone path Walkway with Lighting. This Immaculate home is Priced to Sell!